This article was submitted by Quinn McDowell, founder of Arete Hoops. Quinn played basketball at Archbishop Moeller High School (Cincinnati, OH), 4 years at the College of William and Mary, 1 season in the NBA D-League, and 2 years as a professional in Australia. Arete Hoops is dedicated to helping people of various ages, backgrounds, skill levels, and athletic goals pursue excellence in and through the game of Basketball. The well known author John Maxwell defines leadership as nothing more than one person influencing another. This definition gives us a singular focus when thinking about leadership in the context of a team dynamic. The idea that leadership is primarily influence, forces us to accept the notion that no one is exempt from the responsibilities that leadership requires. Gossip destroys trust and undermines team cohesiveness and togetherness. One of the most important strengths of great teams is their ability to insulate themselves against negativity. The only way teams shield themselves from outside influences is draw close and lean on each other during the inevitable ups and downs of a season. This “drawing close” process becomes difficult when players gossip about fellow teammates or coaching decisions. 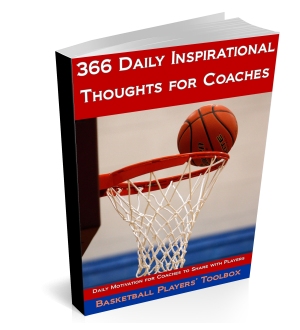 If a player has a problem with another player or is unsure of their role on the team, the mature way to handle these kind of doubts is to speak directly with the coach. Once the coach is involved, everyone can get on the same page and figure out a solution. Gossip is the cowardly way to handle tough situations and gossip destroys team chemistry. performance on the floor is what really matters and team success is secondary. Your non-verbal communication as a leader is incredibly important. It communicates you’re feelings and shows the value of your priorities. For example, poor body language on the court after a teammate makes a mistake communicates a message of disgust and annoyance with that person. You are essentially telling that teammate, “I wish I had another player on the court with me who could play the right way”. This kind of communication coming from a prominent leader makes other teammates feel insecure and unsure of themselves on the court. Uncertainty leads to hesitancy which compounds mistakes and leads to poor team chemistry. There will come a point in every season when your team will have to respond to adversity. How these moments are handled by your leaders will set the tone for how the rest of the team responds in difficult circumstances. Your team might be losing to an inferior opponent and your leaders will have a choice to either blame the poor performance on someone (usually a coach or teammate), or take responsibility and figure out a way to improve the situation. Another example could be when the coach subs out a player during a tense moment in the game; how that player reacts to the coaches decision is important. The player can either sulk to the end of the bench consumed with selfish thoughts, or they can turn their frustration into positive energy and cheer their teammates on. Both reactions communicate specific messages to teammates and coaches. Toxic leaders tend to be consumed with their own predicaments are prone to have negative reactions to adversity. The last sign of toxic leadership, is when players start believing (and telling anyone else who will listen) they are martyrs or victims. Whether it is coaching decisions, bad calls by the referees, unfair playing time, injuries, or incompetent teammates, leaders that adopt the martyr complex bring a dangerous presence to team dynamics. If players start to believe that someone else is the primary source of their problems, this creates a culture of entitlement and laziness. Rather than looking in the mirror and figuring out how to improve, martyrs look at their circumstances and blame others. Martyrs will never put up a fight in the heated battles of competition; but instead will take the path of least resistance.